Most people store their fruit and vegetables in a fridge, which is actually too cold and dry for it. 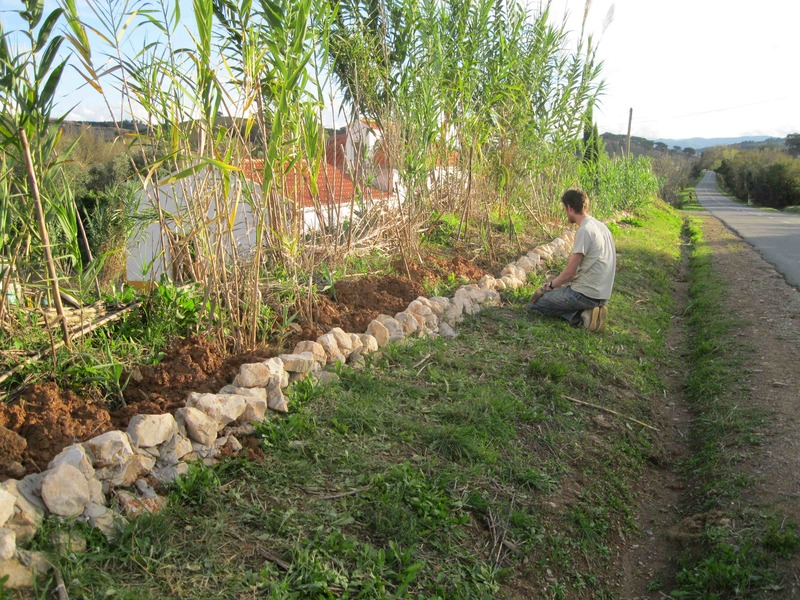 Permaculturist Sepp Holzer promotes building an Erdkeller (Earth cellar), in which vegetables keep longer and healthier and root crops stay garden-fresh even 4 to 6 months after they’ve been harvested. We have a pile of wooden poles for our earth cellar project. Today I found Colm singing and playing on top of it. According to the chinese art of orienting buildings, we are blessed with the river in front of our house and the mountain behind us. But the nearby road above the level of our house is unfavourable. The Feng Shui system suggests remedies to correct such conditions. Our ongoing Great Wall project aims to create a robust green sound barrier, separating us from the road. 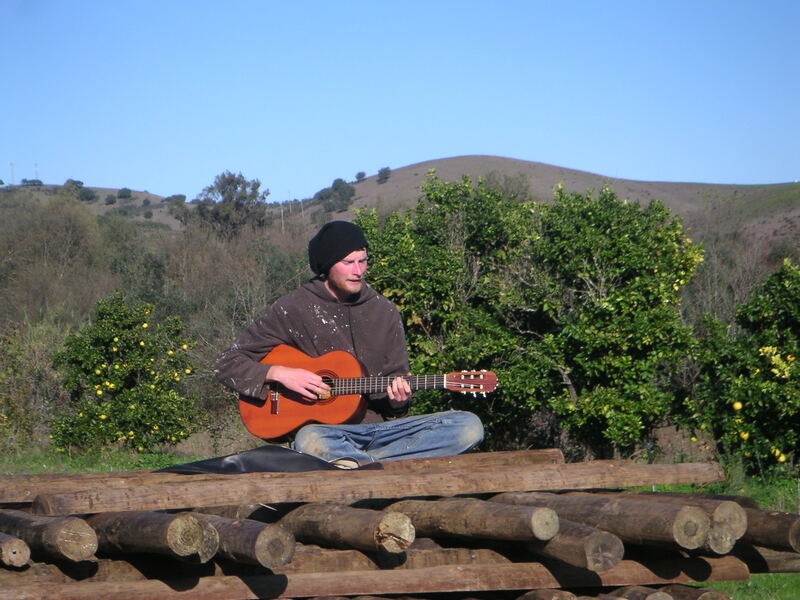 In this picture wall builder Colm, from Ireland. Earlier this year Maria made a wooden structure by the river, adorned with a heart. It looks like a monument for something and lately the idea arose to use it as a memorial for my beloved brother Evert who died tragically, five years ago next week. It was from his legacy that the Osho Garden project was established. 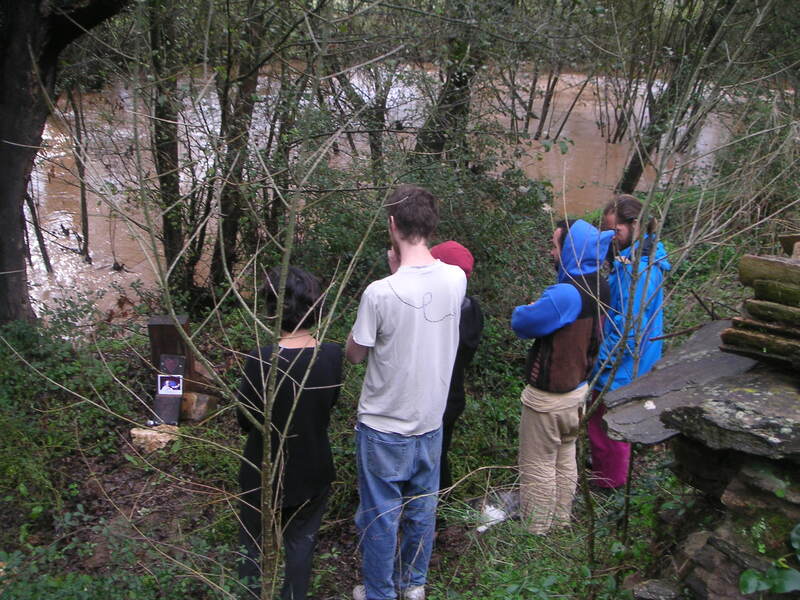 Today we went to the river to attach an image of him to the monument. Steve (from the UK) has his own campervan here and is planning to install solar energy systems in it. 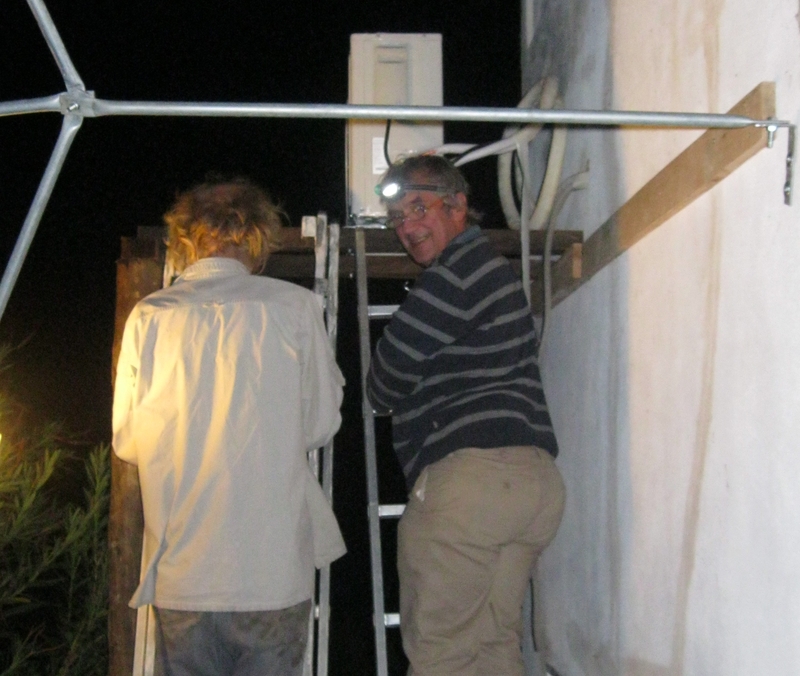 As you can see here we are working overtime, connecting the outdoor unit of an air-to-air split unit heat pump. The indoor unit is in our office. It’s a reversible system that can work for heating as well as cooling. The heating capacity of this unit is more than three times its electric power consumption. Most of the energy is conjured out of thin air. 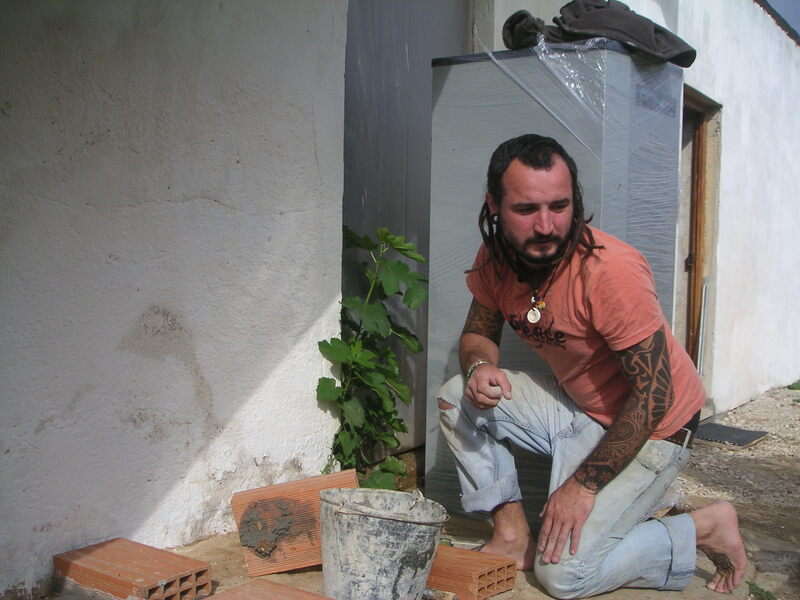 The grey box behind Leonhard, our new volunteer from Austria, is a heat pump water heater we just bought. Traditional boilers burn gas or electricity and run your energy bill up rather quickly. A heat pump however extracts around 75% of it’s thermal energy from the environment, and only 20 to 30% from electricity (depending on the temperature outside). It is heavy. Leonhard is cementing a foundation for it.